Copernicus Sentinel data processed by ESA, Koninklijk Nederlands Meteorologisch Instituut (KNMI). 2018-08-23. 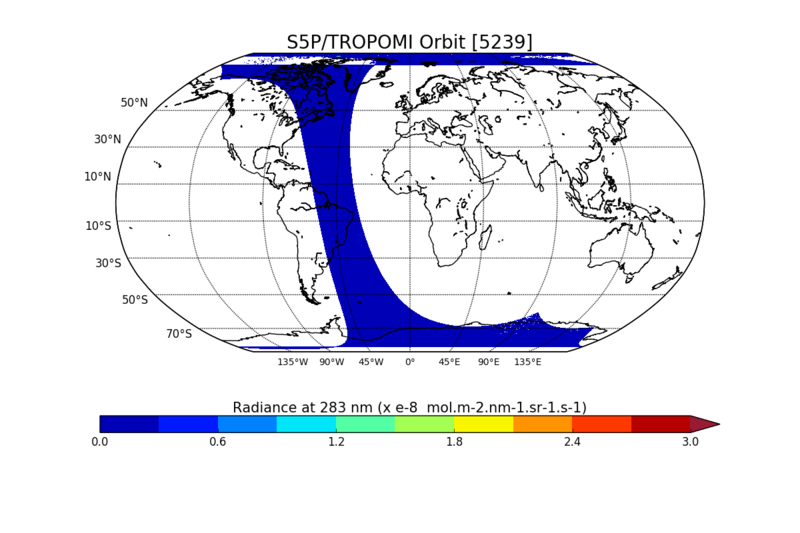 Sentinel-5P TROPOMI L1B Radiance product band 1 (UV detector). Version 1. Greenbelt, MD, USA. Archived by National Aeronautics and Space Administration, U.S. Government, Goddard Earth Sciences Data and Information Services Center (GES DISC). https://disc.gsfc.nasa.gov/datacollection/S5P_L1B_RA_BD1_1.html. Digital Science Data.